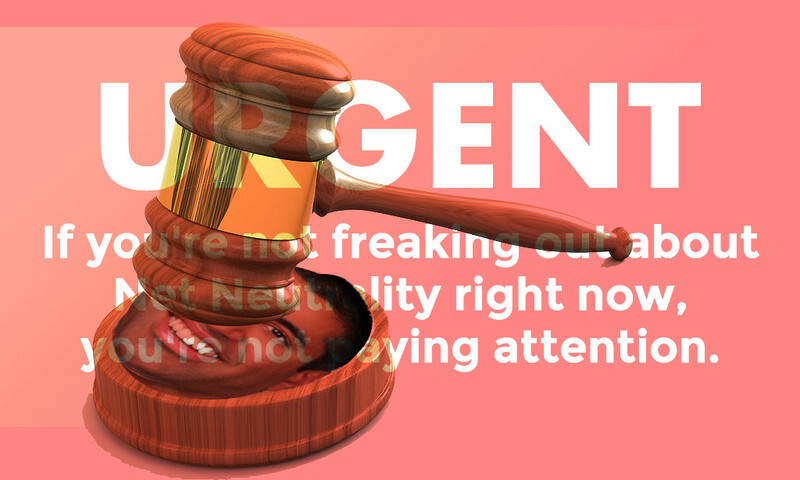 If Trump FCC chairman Ajit Pai had confined his attack on Net Neutrality to merely rolling back the 2015 Title II rules, he might have gotten away with it; but like the Republican plan to kill Obamacare, the Republican plan to rob the middle class to enrich billionaires, and, well, every other Republican plan in this administration, Pai's plan is so grotesque, so overreaching, so nakedly corrupt that it is likely to collapse under its own weight. That's because the Supreme Court has held that a federal agency contemplating a significant change in policy must "examine the relevant data and articulate a satisfactory explanation for its action." But there are no new facts in evidence since the first Net Neutrality rules were enacted in 2004 to justify a change. We don't know what evidence Pai will bring to court when it comes time to fight his plans, but the cards he's played so far are hilariously weak: for example, he claims that the 2015 Title II rule led to a decrease in infrastructure investment by telcos. In fact, the telcos' own filings and investor calls reveal that the reverse is true (Pai is entitled to his own opinions, but not his own fact). US democracy has many structural deficits, but it also has strengths, and Pai has blundered into them. The first is that the administrative branch is composed of "expert agencies" like the FCC and they are legally required to provide strong evidentiary backing for their actions. As Tim Wu -- the competition and internet legal scholar who coined the term "Network Neutrality" -- writes in the New York Times, "A mere change in F.C.C. ideology isn’t enough." This means that when Pai's plan gets to the courts, it stands a good chance of being struck down -- and in any event, the court battle may last until 2020 and serve as a good argument to spur voters to vote against Trump and thus change the FCC leadership, mooting the whole point.